An estimated 1 billion Unpeeled, Unopened and Unwanted food items are discarded annually in American schools because our students are not given an alternative to dumping it in trash if they are full or do not want the item. We can do better than feeding landfills while 1 in 6 are hungry. ​Students deserve ​the right to make a better choice. 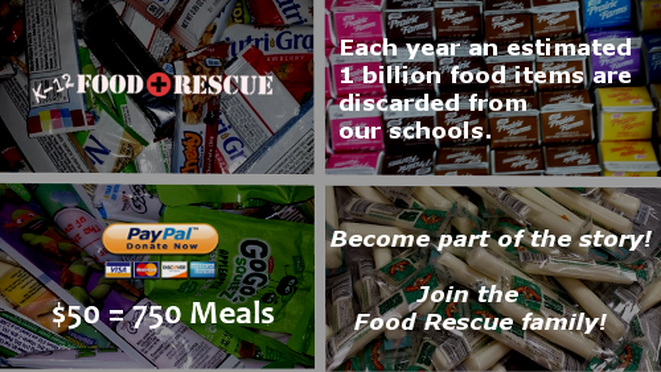 The number number of schools participating in food rescue has grown exponentially in the past few years, but we still have a long way to go and need your support. ​An estimated 1 billion Unpeeled, Unopened and Unwanted food items are discarded annually in American schools because our students are not given an alternative to dumping it in trash if they are full or do not want the item. Food Rescue establishes school programs to reduce waste in public school cafeterias. The Richard B. Russell National School Lunch Act was modified Nov. 18, 2011. This, along with the EPA & USDA support, has resulted in a dramatic shift in food donation policies at our schools. American food production has a tremendous resource cost – 10% of the nation’s total energy budget, 50% of its land, and 80% of all U.S. freshwater consumption is dedicated to the production and distribution of food. An unconscionable amount of those resources are wasted completely, as up to 40% of all food ends up in landfills. By diverting food waste from landfills Food Rescue makes a substantial environmental impact: our efforts prevent 1,722,954 lbs. of CO2 equivalent, in the form of methane, from entering the atmosphere and causing pollution. Schools, homes and businesses all can play a role in reducing the carbon pollution in our environment (See greenhouse gas emissions). Pollution is not just plastics, but food waste is a major contributor to the harmful, environmental effects. Food rescue, recovery can make a difference (and believe it or not, you can make a huge difference)! The EPA (Environmental Protection Agency) is doing their part as well. They have initiated the Food Recovery Challenge to schools across the nation, offering their full support for donating their surplus food instead. 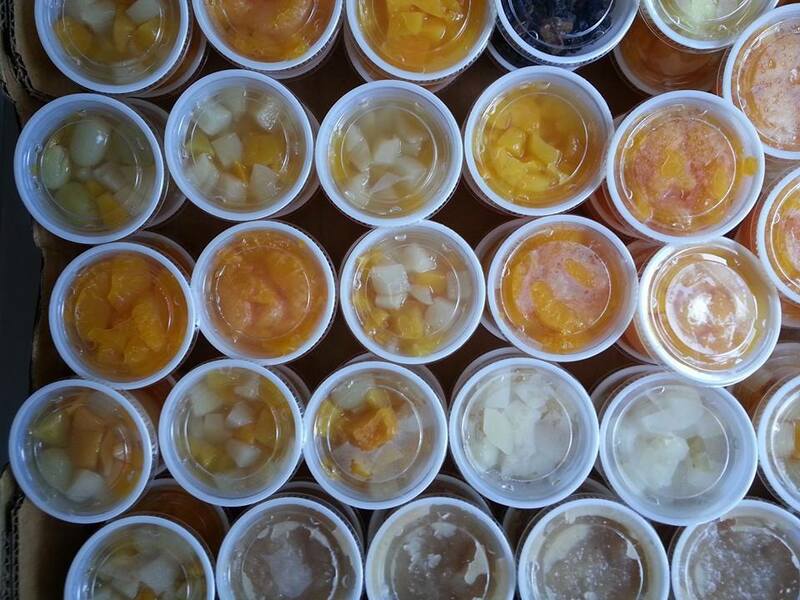 K-12 Food Rescue: ​Please help us reduce waste in public school cafeterias, diverting potentially wasted food from landfills and instead delivering it to food agencies, where it will serve food insecure families and individuals. We can no longer operate without you joining the food rescue family and becoming a part of this story. We have a need of people like you supporting Food Rescue with a monthly donation. Since October, in Avon alone, more than 4,000 pounds of food was rescued. These Things can happen in your community too! 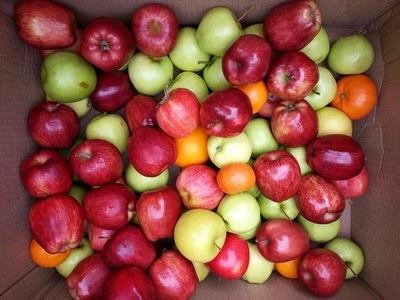 ​" I was more than blessed with Food Rescue volunteers today for our weekly pick up, sorting and delivery all through A Giving Tree Community Pantry. 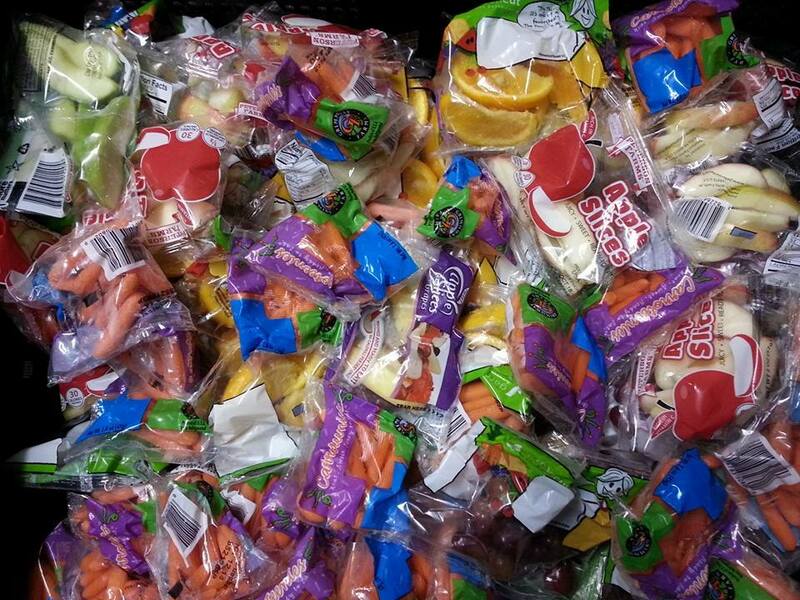 Food is literally saved from being tossed in the trash and 25 families received a huge box of quality nourishment. Almost 600 milks, 500 apples, 150 cheese sticks, and so much more will feed these families for this week. Thank you to all the Westfield Washington Schools...and my amazing volunteers!!" Another Student Impact story of student leaders making a difference. The problem: An estimated 1 billion Unpeeled, Unopened and Unwanted food items are discarded annually in American schools because our students are not given an alternative to dumping it in trash if they are full or do not want the item. What we do: Food Rescue establishes school programs to reduce waste in public school cafeterias. Why now: The Richard B. Russell National School Lunch Act was modified Nov. 18, 2011. This, along with the EPA & USDA support, has resulted in a dramatic shift in food donation policies at our schools. Learn more at K12 FAQ page. Register your school as a participant in the U.S. Food Waste Challenge. The law (Seen here) is on your side when you donate instead of dump. 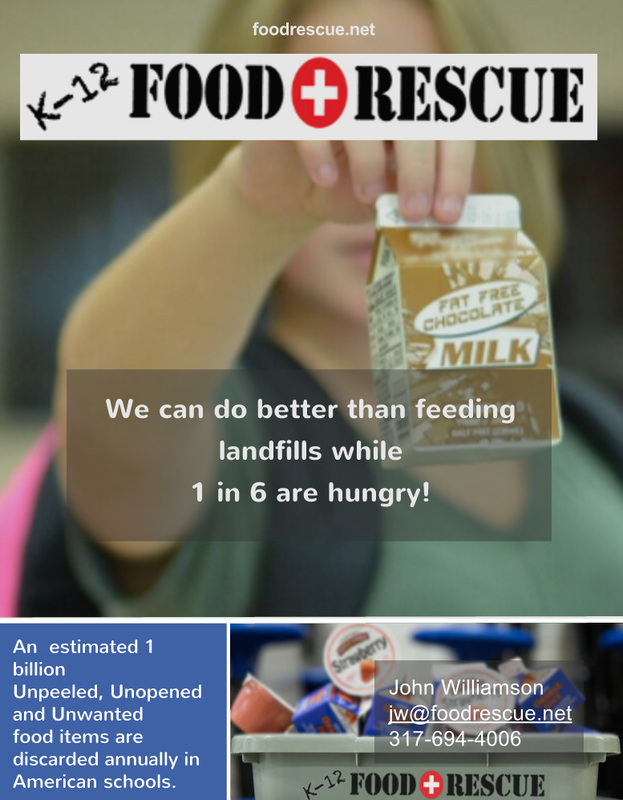 A versatile, free online tracking toolfreetool for cafeteria managers, students, Eco clubs, teachers, or food pantry volunteers to track the impact of your efforts on the environment and hunger relief. ​With each entry, you will receive your own "Impact Dashboard" image as well as a pdf file with an itemized list of your entry. You will also be inspiring your peers by adding to the Live Impact Dashboard seen below (Updated Daily).